We associate the word seder with Passover meals shared with family and friends that follows a specific order of blessings, foods, texts, and songs. But seder (“order”) is a Jewish value to be practiced daily and is a key ingredient in the spiritual cleanse my 21st century life requires. Several years ago at a gathering of entrepreneurs, the featured speaker was a CEO named Warren Rustand. His inspirational talk focused on how professional success fits into a life rich with value. One of the examples he shared from his personal practice was that he and his family deposit their cell phones in a basket by the door when they arrive home – not to be touched again until they leave for work the next morning. He believes that work needs to get done at work, and that when one is home their focus should be on the people with whom they share their life. This implicit challenge to live a life of order and discipline so that time spent with my loved ones is sacred has stayed with me. As a student and teacher of the Jewish spiritual practice called mussar, the middah (virtue) of seder refers to an ongoing focus to bring increased order into my life so that I am present and of service to others. As understood by Rabbi Menachem Mendel of Satanov, we need seder so that “our thoughts are always free to deal with that which lies ahead of us.” It is not for the purpose of taking pride in good time management or a tidy home that my spiritual cleansing requires seder/order. Rather, lack of seder (disorderliness) puts me in a state of distracted self-absorption that precludes me from being the kind of spouse, mother, friend, and neighbor I want to be. The Passover seder is intended to remind us of the responsibility of freedom; the daily practice of seder carries the same message. For your seder table, here are two suggestions to increase joy for participants of all ages. First, put out an array of veggies, chips and dips like guacamole to munch on after the karpas blessing. Second, encourage everyone at your seder table to share two blessings of gratitude in the Dayenu style, i.e: If only I was blessed with this good thing, Dayenu (it would have been enough), but also I was blessed with this other thing! 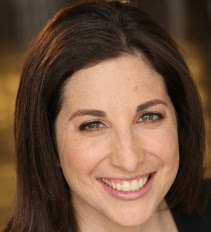 Rabbi Rachel Bovitz is the Director of Millennial Engagement at the Jewish Theological Seminary and a madricha of the Mussar Leadership Program. Rachel, Greg, Sari, Sammy and Annie joined BJ a year and a half ago when they moved to New York City.